This is from the "Mercedes-Benz News" section of benzworld.org. Mercedes has released details on the baby brother of the G 63 AMG 6×6. Previously, the German automaker released a sole image of the G 500 4x4² but now the company has revealed full specs and details ahead of its Geneva Auto Show debut. Sporting a 4.0-liter V8 biturbo engine churning 422 hp, the G 500 4x4² will ride on 22-inch wheels paired to large 325/55/22 rubber while carbon fiber body parts is just a taste of what the monster can do. 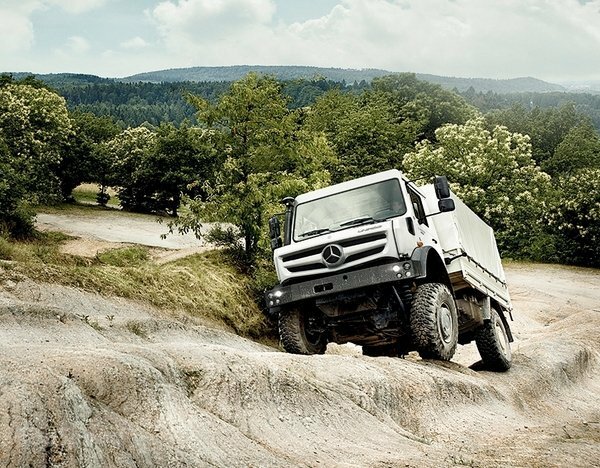 As was reported earlier, the G 500 4x4² features the same portal axles found in the G63 AMG 6×6 along with an all-wheel drive powertrain that makes it venerable off-road but perform equally well on the streets. 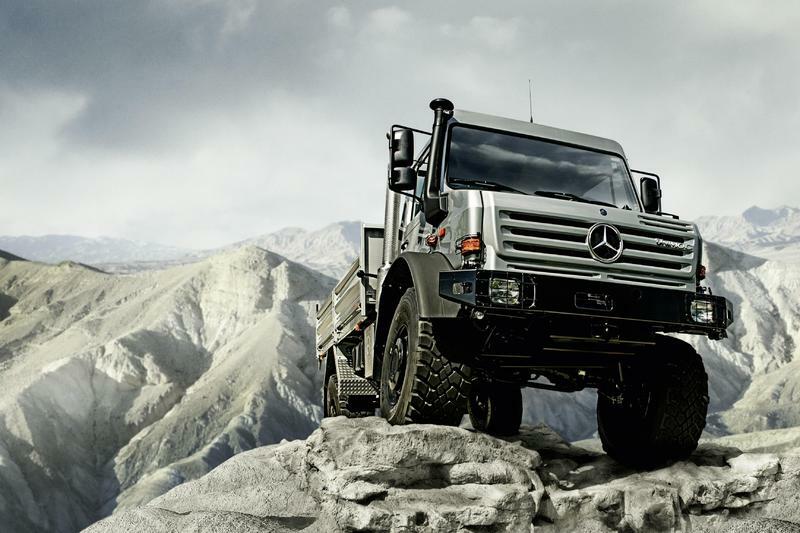 Read more about the Mercedes G500 4×4 Squared is Serious Off-Road Luxury at AutoGuide.com. So the Defender goes away and the G gets portals - love it. You can get all the same gear from LeTech USA today! A Puch G with the LeTech portals is on my want list! Nice. CTIS and beadlocks available as well. My what difficult terrain ! Careful - wouldn't want to ding the paint or rub off the tire shine. I notice they have the whole picture tilted to make it look more EXTREME ! Car is probably just 'shopped on there, anyway. ..the road to nowhere. . .leads to me. "carbon fiber body parts is just a taste of what the monster can do...."
Whoa - guess I have to take back the 'dis. We all know that carbon fiber GREATLY increases off-road ability. Shatters on rocks nice too. . . . BANG ! I would prefer the stripped down model with a diesel, but I would drive that one - even with the performance enhancing carbon fiber. I'm sure the wife would approve too. Now, the small matter of what does one of these formidable machines cost? Yeah - everybody knows those U5000's are hopeless off road. Does the photo shoot team tire shine the lugs on the XM47's ? 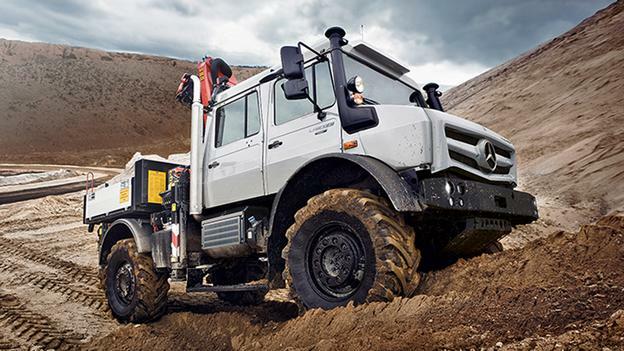 Even worse, they photoshop the mud onto the tires...or the Unimog onto the mountain.